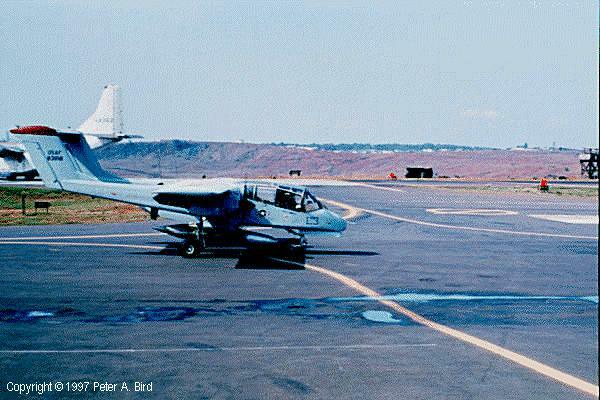 The OV-10 was a close air support machine with the powerful engines and high-g capability needed to stay in close. It carried a variety of weapon systems on centerline mounting points. The particular example above has a fuel tank mounted. Photo taken at Pleiku.